Many people throughout history have never heard of The Children of the Pauper’s work house. This story is almost similar to that of the Children of The Enterprize”. During the early 19th. Century there were several children of colour that were involved in a migration from Canada to Bermuda. They were commonly classed as Pauper Children. This immigration took place between 1849-50. From research we find the name of the Brig JAMES’ and it’s Commander Captain W.J.Burrows. This unauthorized child immigration from Canada to Bermuda soon became the subject of a report to the Bermuda Parliament by the Poor Law Board. Capt. 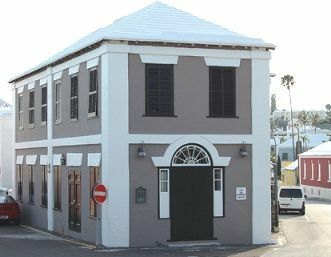 Burrows was summoned before two Chief Justices of Peace in St. George Magistrate’s Court. He was attempting to evade the passenger’s act of 1849. He also classified his passengers as cabin passengers, so that the vessel would not come within the provisions of the act. The evasion was apparently to enable the ship to carry gunpowder on board. An item which was also prohibited by law. The serving Magistrates at the time were John Stuart Hunter and John S. Fisher. Many of these children were brought to work as housekeepers, farmers and general workers. In 1853-55 the yellow fever epidemic took seven or more of the thirty – nine children from the work-shop because of their lack of healthy nourishment in their early child-hood. Without the immunity of the Bermudians they became ready victims of the fever attack. It is believed that some of these victims were buried at various grave sites about the Island. That research is still continuing. It is also recorded when researched some as they reached the required age left Bermuda . 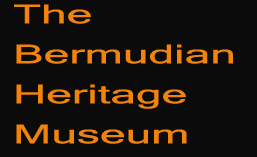 Interestingly research still continues, to find out just how many remained here in Bermuda, made their homes and raised families. At the end of this year this story will once again go on exhibit in the Bermudian Heritage Museum along with the names of the Pauper Children and their owners. With this our purpose to bring the history of our people to the fore continues.